It seems as if La Perla has been around forever. It has become a way of life for many of us. 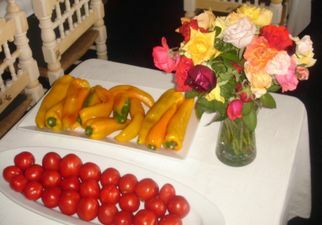 Our children know La Perla and grew up enjoying the Italian food and became hopelessly precocious little foodies. They knew the waiters by name and the waiters treated them like honoured guests. There are now new generations of young gourmands being spoilt rotten. Forty years ago, Emiliano Sandri, an Italian immigrant, opened La Perla, one of the first coffee bars in Cape Town. 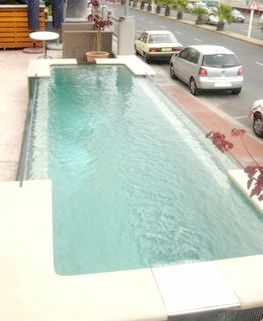 It was situated at the bottom of Waterkant Street and we all flocked there. We knew little of the coffee bar culture and were captivated by the concept. We could sit for hours with a cup of excellent espresso and feel so liberated and continental. The beautiful people streamed in and out and people watching became a fashionable pastime. La Perla moved to its present address on Beach Road, Sea Point in the 1970's. Immediately it became the the new focus of attention for the cafe society. Great, almost seductive food, personalised service and a stunning view of the sea and of the boulevadiers. Unusual in those days in a restaurant not attached to an hotel, La Perla boasted a liquor licence. The managers and waiters were personalities in their own right. Some of the managers eventually moved on and became established restaurateurs. The waiters knew everyone, greeted everyone by name and remembered exactly what everyone loved to eat. Today, Victor and Birdie are benign ghosts who hover over the younger crew and sigh for the good old days. There are still some old faces that faithfully follow the original formula of knowing and caring. Daya tells proudly that he is now the longest serving waiter at La Perla. Tony, always smiling, quickly organises us and sees to it that we are well served. Celebrities graced La Perla with their presence. Chris Barnard with his beautiful young wife. Italian film stars and playboys and playgirls preened themselves for the social pages. Politicians of every strata wandered by and there was always a feeling of being in an exciting, special place. La Dolce Vita! La Perla of today hasn't changed all that much. It recently had a year-long face lift, but like the grand old trooper that she is, she did not close at all. With an expanded and modern kitchen, beautiful terraces and a gleaming plunge pool, La Perla sailed into the 21st century, glamour and all. Certain things have remained unchanged; the heavy wooden carved Ceasar chairs remain and the extraordinary lipstick ceiling lights are still providing a seductive glow. Emiliano's sons took over the business some years ago and added an art deco cigar lounge which continues to attract the old and new faithful. Emiliano concentrates on his farms that provide the beautiful roses, platters of luscious red tomatoes and bright peppers, plump vegetables and shining berries that proudly adorn the restaurant. There is always interesting and sometimes puzzling art on the walls and large metal and stone sculptures on the terraces. The Sandris are passionate art collectors and have an art gallery in Stellenbosch. And the food. Ah, the food! Everyone has their special favourites at La Perla. We love the fresh fish of the day. Juicy, cooked to a turn and totally delicious. Splendid seafood dishes. How we love the grilled baby calamari with garlic, all crunchy and mouthwatering! The platters of crustaceans that emerge from the kitchen are a sight to behold; crayfish, langoustines, prawns, mussels and oysters accompanied by sauces to enhance the already glorious flavours. And never forget the wonderful selection of pastas; it is an Italian restaurant after all. Many of the pastas are homemade, all are excellent. Incidentally, La Perla happily provides take-away meals, a facility of which we frequently take advantage. Meat eaters are expertly catered for and there are alternating specials available every Sunday. Sunday lunch can be as traditional or as exotic as you wish. 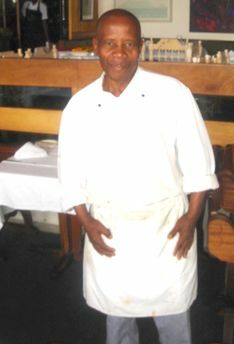 Chef Albert Msawuli has been a force in the kitchen for 39 years. He credits Chef Romano for teaching him all that he knows and has grown up and grown older steeped in the La Perla tradition. So many La Perla stories, so much nostalgia. We simply expect La Perla to always be there. La Perla has younger sisters in Newlands and Stellenbosch, but this is about the oldest and most venerable sister. Come on, let's meet at La Perla. 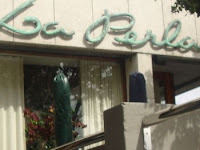 La Perla Restaurant, Beach Rd, Sea Point. Open for lunch and dinner, Monday to Sunday. Booking is advised, essential at night and on weekends. Eugene and I love eating out and always pay for our meals whenever and wherever we go. I grew up in Cape Town, but I had my first taste of La Perla yesterday. 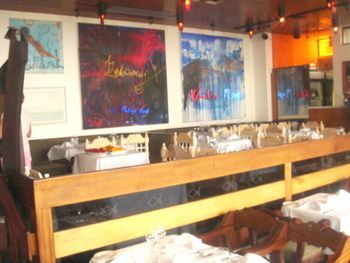 It has a certain "time-warp" quality, and exudes a certain style which is absent in most modern restaurants. I can attest to the quality of the food, which was excellent, and also very reasonably priced. The humidor is not as amply supplied as their website would suggest, but if Montecristo and Cohiba are on offer...what more do you need? I agree with you that the food is excellent and that the 'time warp' quality adds to the experience.